His theory of "deep diversity" calls for a liberalism that is committed to the collectivist survival and enhancement of Aboriginals, Quebecois, and visible minorities within Canada. This is a theory that academics and media elites have employed rather effectively in the transformation of Canada into a diverse nation and in the selling of Canadian multiculturalism as a "successful model" to the world. Critics of Taylor have said that his notion of "deep diversity" entails cultural demands by minorities inconsistent with the liberal principle that all citizens should enjoy the same rights as individuals. But I agree with Taylor's argument that the theory of individual rights contains within it the idea that humans should have a right to have their ethno-cultural identities recognized, because such recognition is essential to the self-fulfillment of the individual. Taylor's communitarian argument that individuals can develop only as members of a community is sound. He correctly criticizes mainstream liberalism for advocating an incoherent conception of the individual existing outside and apart from a particular society. There is, however, an egregious inconsistency in the way Taylor applies the theory of cultural rights only to Aboriginals, Quebecois, and immigrants in complete disregard for the cultural rights of the majority European Canadians. He never addresses the way Canadian identity was constructed primarily within a particular Anglo community, but views this community as a place in need of alteration to accommodate the cultural expectations of minorities. 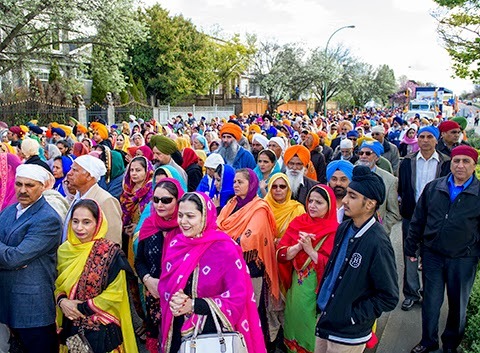 His communitarianism recognizes only the group rights of minorities to the detriment of the group rights of European Canadians, in relation to which he emphasizes the principle of individual rights combined with a multicultural communitarianism intended to celebrate the group rights of others. In the same breath as he argues that liberalism is consistent with the recognition of the collective rights of minorities, he warns against any communitarian politics associated with European majorities. He views any form of European ethnic identification as inherently illiberal and discriminatory in nature. Rather than being rooted in the longings and historical identities of Europeans, Taylor's communitarianism is yet another theory concocted by a privileged academic devoid of loyalty and affection for his community of birth. Taylor regularly uses the word "embedded" — dutifully imitating the academic lexicon — to accentuate the way human behavior needs to be understood within the context of historically concrete social settings. But he is completely oblivious to the way his mind is embedded to cultural Marxist expectations and the unquestioned dogma that European nations, and only European nations, must be open to millions of immigrants and be sympathetic to the cultural longings of non-Europeans, while always reacting negatively to any form of European ethnic nationalism. He wants a Canada that is a "model" to the world in nurturing a new multicultural identity that recognizes the "intrinsic" value of ethno-cultural identities for non-European minorities while erasing its Anglo traditions. Why should European nationalists be interested in Taylor's communitarianism if it is so inconsistently against the collective rights of Europeans? Because Taylor is the one communitarian who emphasizes the human need to have one's ethnicity and culture validated. 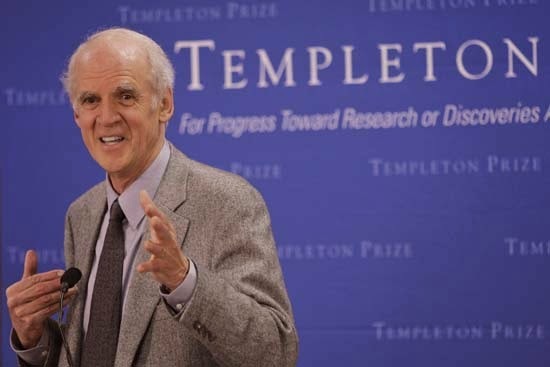 Taylor's concept of deep diversity goes beyond the standard communitarianism of Michael Walzer, Michael Sandel, and Alasdair MacIntyre, who are mainly preoccupied with socialistic policies, face to face sentiments of trust, family life, or the way individual values cannot be understood outside the living tradition of a particular community, without making references to the importance of ethnicity. 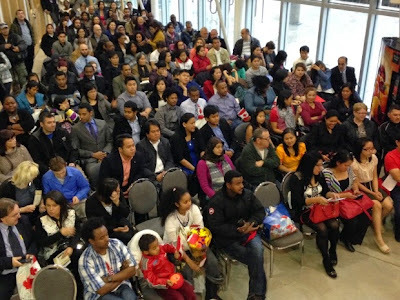 At a time when European ethno-nationalists are in need of developing multiple strategies to counter the dominant discourse of cultural Marxism it might be worthwhile to bring out the ways in which Taylor's justification and worldwide promotion of Canadian multiculturalism contains within itself the seeds for a strong political argument in favor of European ethnic identity. The critical assessment I am proposing against Taylor may be defined as an "immanent critique" in which the objective is to detect contradictions in his thinking which point to determinate possibilities for European nationalism within the current multicultural establishment. 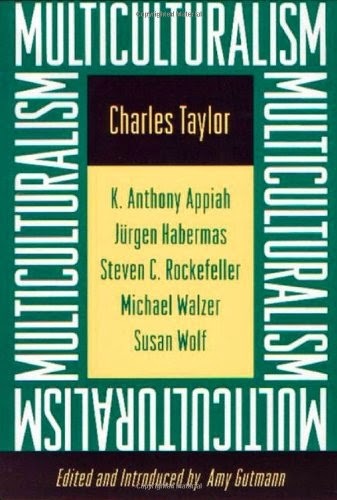 We can accept the substantive premises and truth-claims of Taylor's communitarianism, enter his theory, register key contradictions, develop these contradictions according to their own logic, and, in this way, bring out support for European ethnic nationalism from within the current multicultural system. We can show, in fact, that ethnic European nationalism is already implied in the theory of liberalism and in the current rationale for multiculturalism. The right of European Canadians to fulfill their potential as individuals is being constrained by their inability to express themselves as members of a cultural community rooted in deep historical experiences to which they belong collectively and which is intrinsically valuable to them as human beings. Taylor's theory of "deep diversity" contains three key concepts: "mutual recognition," "dialogue," and "fusion of horizons" (I will discuss the latter term in another section). This theory is clearly expressed in an widely popular essay entitled, "The Politics of Recognition." Since 1992 this essay has appeared in many languages, discussed numerous times in conferences, books, articles, and PhD Dissertations. According to Google Scholar, it has been cited by almost 6000 sources. The book, Multiculturalism: Examining the Politics of Recognition (1994), edited by Amy Gutmann, which consists of this essay and commentaries by established academics, has been cited in close to 5000 sources. It was only in the modern era and in Europe, he adds, that humans came to develop a liberal way of thinking that eventually led to our current preoccupation with struggles for recognition. The liberal concern with the dignity of the individual, the right of every individual to be recognized as a citizen with equal rights, was itself a form of thinking calling for the equal recognition of humans as public citizens regardless of station, which was the basis for the rise of democratic culture in the West and the institutionalization of equal rights for all. According to Taylor, another intellectual current was added at the end of the eighteenth century to this concern with individual rights and recognition, a current best articulated by J-J Rousseau, which had to do with recovering one's inner authentic voice in the face of social conformity. Each human had a unique inner nature, insisted Rousseau, to which they should be true if they are to develop as original personalities. 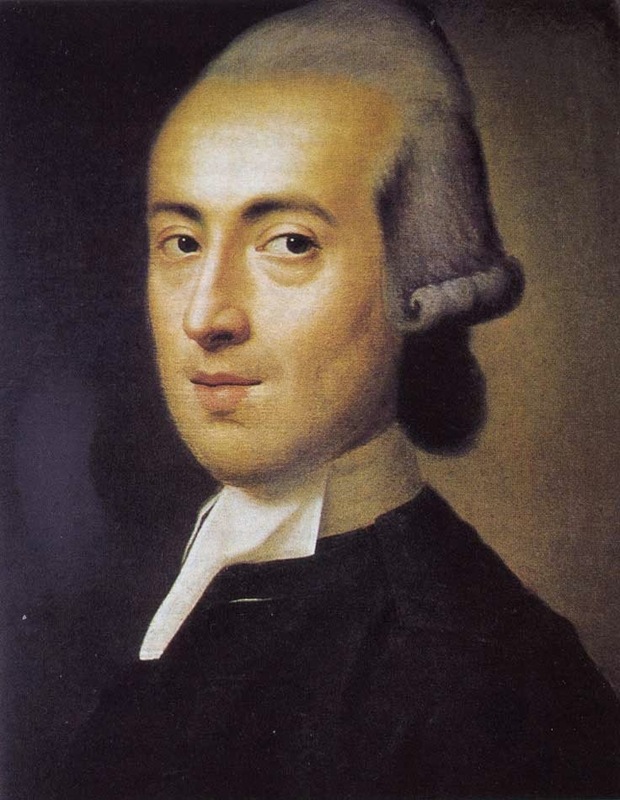 Then Johann Gottfried Herder (1744-1803) came along expressing this ideal "at two levels," not only in terms of individual self-fulfillment but also in terms of the fulfillment of national peoples to their own sense of identity. According to Herder, writes Taylor, "just like individuals, a Volk should be true to itself, that is, its own culture" (p. 31). 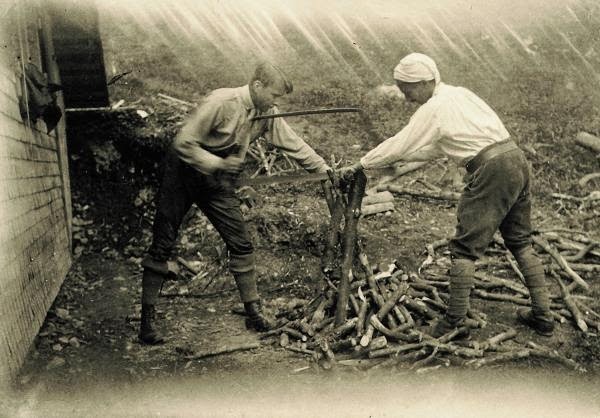 This concern with individual and national/cultural authenticity was behind the Romantic concern for the inner depths of individuals and the nationalist movements for self-determination in the nineteenth century. Taylor then writes about how Europeans later came to realize that the ideal of authenticity cannot be developed and fulfilled "monologically" but presupposes a "crucial feature of the human condition," which is that we can only develop as human beings through interaction with others, "dialogically." Discovering our personal and our national/cultural identities doesn't mean separating ourselves from others and finding out who we are in isolation; only by interacting with others do we form our identities and get to be recognized in varying degrees and ways. Taylor refers to the writings of George Herbert Mead and M. M. Bakhtin for this argument. It is now widely accepted in the Western world, he says, that our identities and sense of self-worth are formed in open dialogue. Not only contemporary feminism but also race relations and discussions of multiculturalism are undergirded by the premise that the withholding of recognition can be a form of oppression (p. 36). Taylor tries to make a contribution to this accepted idea by working out a new theory of liberalism based on the principle of cultural recognition. He says that the principle of recognition is already implied by the standard theory of liberalism, since this theory proclaims that all humans want to be recognized as equal beings with the same public dignity, rather than divided into first and second class citizens. However, while this liberalism of individual rights speaks about the equal dignity of all, and promotes rights meant to be universally the same, the cultural liberalism Taylor writes about recognizes the right of all humans to have their own cultural identities; it emphasizes the right to collective difference and authenticity. This liberalism is about the "politics of difference." It is not about Aboriginals enjoying the same civic rights as Whites, but about Aboriginals having the right to be culturally different, about living in a society in which they are not seen as an inferior cultural group expected to assimilate to a superior majority modern culture based on individual rights. While Taylor is clearly aware of the tensions that exist between a liberalism based on individual rights and a liberalism that grants minorities certain cultural rights, and powers not enjoyed by other Canadians, he insists that "the politics of difference grows organically out of the politics of universal dignity," that is, the politics of cultural rights grows organically out of the politics of individual rights (p. 39). If the politics of individual rights says that all humans by birth are worthy of equal respect, the politics of cultural differences says that the identities of all humans as members of different culture groups should be accorded equal respect. Taylor distances himself from the notion that all products of all cultures should be accorded equal respect, adding that the recognition that is expected here is that we grant members of all cultures "the presumption" that their culture has worth or value. He criticizes postmodernists who argue that there are no universal standards by which to judge different cultures and that standards of worth are based on "power structures," but also criticizes multiculturalists who believe that all cultures are of equal worth in their unique ways and that it is "Eurocentric" to judge them, arguing that it is patronizing for Westerners to voice equal love for all cultures. Yet, in the end, Taylor insists that we should recognize the equal (potential) worth of different cultures. He finds limiting the liberalism of individual rights (endorse by John Rawls, Ronald Dworkin and Jürgen Habermas) and its claim that a liberal government should not endorse any culture but should remain neutral and simply afford all citizens the right to choose their own cultural ends. He defends the cultural right of the Quebec government to take a stand on the importance of preserving the culture of Quebec's ancestors. The Quebecois nationalists are correct to endorse a view of the "good life" rather than remaining neutral. It is "good" for the well-being of the Quebecois to feel that their cultural traditions are respected by the Canadian federal government. Quebec can be "a society with strong collective goals" and still "be liberal...provided it is also capable of respecting diversity, especially when dealing with those who do not share its common goals" (p. 59). Quebec can guarantee the survival of its ancestors while endorsing the rights to life, liberty, due process, free speech, free practice of religion of its citizens, including immigrants who wish to maintain their own cultural identity. Taylor thus endorses the collective right of Quebeckers and aboriginal peoples to a "distinct society" status within the Canadian federation, a form of national self-government with the constitutional "ability to adopt certain kinds of legislation deemed necessary for [their] survival." Quebecois and Aboriginals should have their own communal culture with their own territories with their own institutional arrangements, holidays and languages. Quebecois and Aboriginals are national peoples that may wish to remain distinctive "through indefinite future generations" (p. 49). While he does not think immigrant groups should be creating semi-autonomous territories and provinces in Canada such as Nunavut and Quebec, he thinks that immigrants need more than "external protections" against majority decisions and affirmative programs that provide them with opportunities for individual success within the Canadian communal culture. The differences between Taylor and Will Kymlicka, Canada's other major theorist of multiculturalism, are not obvious at first reading, since Kymlicka also calls for national self-determination within Canada's federation for Aboriginals and Quebecois, and for groups rights for immigrant minorities. Both Taylor and Kymlicka are known to be "strong" advocates of multiculturalism, very enthusiastic about such goodies as constitutional affirmation of multiculturalism in Canada at all levels of government, adoption of multiculturalism in the school curriculum, ethnic minority representation in the media and public institutions, exemptions from dress codes, such as allowing Sikhs to wear head turbans, dual citizenship, government funding of ethnic organizations, and affirmative action for "disadvantaged groups." 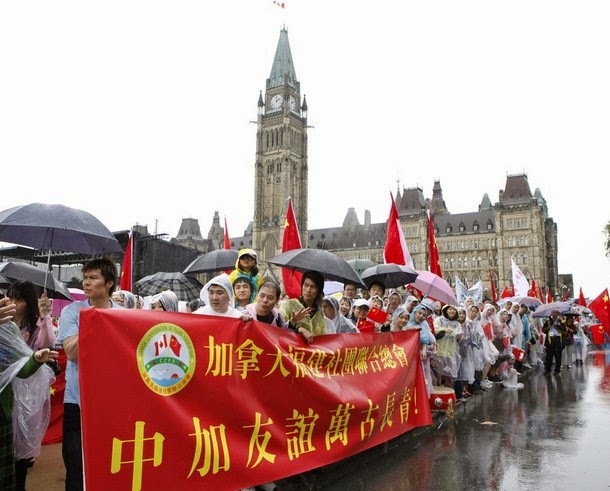 Chinese Crowds gather in the rain in 2010 to cheer China President Hu Jintao in Canada. The banner reads: "China Canadian Friendship Forever Young." There is an important difference, however, and it is that Kymlicka conceives group rights as temporarily intended to facilitate immigrant integration into a multicultural Canada, whereas Taylor thinks immigrants deserve cultural rights for the sake of protecting a cultural identity that, in his view, may be "intrinsically valuable" to them, and not just a matter of facilitating their integration into Canada. Taylor pushes for a stronger communitarian liberalism that recognizes the wish of immigrant groups to retain their traditions, survive as different communities, and enhance themselves as members of particular cultures, even if this entails collectivist demands by minorities that are inconsistent, or in tension with, the principle of equal individual rights. It is not that Taylor does not say that the endorsement of cultural differences should not be balanced with the principle of individual rights; he admits that there are limits to the cultural differences that the principle of individual rights can tolerate, and Taylor does raise the problems liberal societies have with accommodating the Islamic predilection for keeping politics and religion together. But he insists that this is not a self-refuting contradiction to the liberal politics of difference; it is a "challenge" that Western societies have to deal with. Overall Taylor's call for diversity is said to be "deep" not only because it grants extensive powers for territorial self-determination to Quebecois and Aboriginals, and because it goes beyond a merely legalistic understanding, affirmative action and anti-discrimination laws, but because it calls as well for a new concept of self-hood and identity among Canadians generally in which diversity becomes intrinsic to their sense of well-being, something they practice, feel, and internalize within as part of their psychological make-up and everyday life-experiences within their families, schools, friends, churches, and careers. Taylor offers philosophical arguments calling for a totally new identity for Canadians separate from any notion of Europeanness and intrinsically multicultural. I agree with Taylor that Quebecois and Aboriginals have a right to their own forms of national self-determination. Humans have a deep need to have their culture and ethnic identity recognized. I also agree that cultural identities are not easily reconcilable with the mainstream principle of individual rights and that the demand for cultural recognition may entail a demand for cultural survival requiring individuals to exercise their choices and autonomy as members of a community. Taylor is realistic in understanding that millions of immigrants arriving from cultures lacking a liberal tradition may not want to relinquish their cultural and ethnic identities and dissolve themselves within an Anglo communal culture characterized by a strong sense of individualism. But it never enters Taylor mind to consider the possibility that Europeans have their own collective customs, religious ways, and historical memories, including a strong belief in individual rights, which they may want to protect in the face of immigrants from illiberal cultures. The only notion one can get from Taylor about the communal identity of European Canadians is that they inhabit a country with a set of procedural laws that are intended for all human beings, equality under the law, institutional democratic templates, and a market economy, deemed to be culturally neutral, and therefore equally available to members of other cultural traditions. More, or I should say, less than this: the only collective identity he can envisage for European Canadians is that of being open to other cultural identities under the penalty that if they affirm their heritage they are being illiberal and not truly Canadian. Everyone else except European Canadians stand for authentic traditions, particular customs and historical experiences. Cultural survival and recognition are words reserved only for minorities. The culture of Eurocanadians is conceived as being inherently other-oriented, for the benefit of others. Eurocanadians are the host nation, the multicultural people, in need of exhibiting recognition of every other culture, responsible for creating a framework within which others feel appreciated and with whom Europeans engage in dialogue for the purpose of including their voices and allowing them to have their spaces for cultural affirmation. 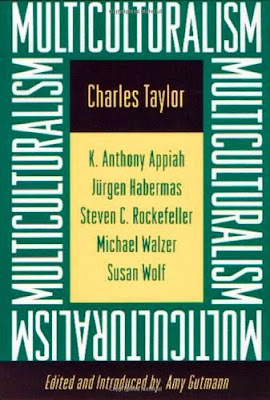 It is not fair, Taylor insists, to expect immigrants to give up their cultural ancestries and assimilate to a majority culture.Claiming that immigrants endanger European culture, he argues, only intensifies discrimination against them; the role of Europeans is to be open to other cultures; European culture is nothing more than democratic culture, and since this culture belongs to everyone, it should be shared with all other cultures in such a way that the members of these other cultures feel respected in their authentic traditions and ethnic heritage. 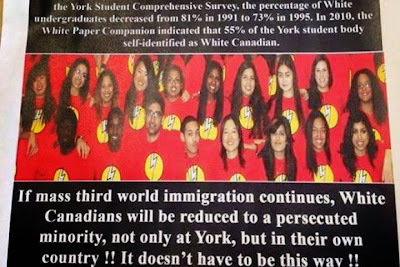 It is racist and illiberal for Eurocanadians to insist that they have an ethnic identity that matters to them. Enlarging and changing the curriculum is therefore essential not so much in the name of a broader culture for everyone as in order to give due recognition to the hitherto excluded (p. 66). No consideration is offered by Taylor as to what this change in curricula will entail other than vaporous statements about how Canadians will benefit from learning about many cultures. One is left wondering why it would be broad-minded for students to know a little bit about numerous cultures, but narrowly parochial to have a solid background in the philosophical accomplishments of ancient Greece, Rome’s development of a formal-rational type of legal order, the Catholic scholastic method and invention of universities, the humanistic and artistic tradition of the Renaissance, the Cartographic revolution of the sixteenth century, the Reformation, the Scientific Revolution from Copernicus to Newton, the Enlightenment, the Romantic era, the rise of representative institutions, and the permanent German philosophical revolution from Leibniz to Kant to Hegel to Nietzsche to Heidegger? Charles Murray’s book, Human Accomplishment, Pursuit of Excellence in the Arts and Sciences, 800 BC to 1950, informs us that ninety-seven percent of accomplishment in the sciences occurred in Europe and North America from 800 BC to 1950. Would it not be reasonable, then, for students interested in an education in the history of science to concentrate on the accomplishments of Europeans? The fact is that Taylor relies solely on European thinkers to make his arguments about the politics of recognition. Efforts to acknowledge the viewpoint of others, or understand different cultural ways in their own terms, are a uniquely European attribute. Taylor’s entire academic career has been centered on the Western intellectual tradition. His book, Sources of the Self: The Making of Modern Identity, is all about the making of the Western modern self, and should have been titled accordingly. The fundamental flaw in Taylor's argument is tied to many other inadequacies, misapplications of classical thinkers, and projections into the past of contemporary agendas. Taylor relies on the ideas of Herder and Gadamer in support of his argument about the human need for cultural recognition. Yet, an accurate rendition of Herder and Gadamer would have entailed recognition of the majority culture of Europeans in Canada. This misuse of the ideas of past Europeans thinkers, two German conservatives, is typical among leftist academics. They like to create the impression that the efforts we have been witnessing in the last few decades to transform European nations into diverse societies, are somehow supported by the great minds of the past. But immigrant multiculturalism is only a decades-old policy without precedent in the past. Taylor misinterprets Herder's idea about how all the "variety of culture" in the world produced by a divine providence "was meant to bring about a greater harmony," as if Herder was speaking about the promotion of diversity inside nations (p. 72). Herder cherished the variety of races and cultures he saw in different regions of the earth, in time and space. He rejected a universal history for humanity in which the unique national and ethnic character of peoples would disappear as every nation came to adopt the same values. He proposed a different universalism based on the actual variety and unique historical experiences and trajectories of each people (Volk). Every people had their own particular language, religion, songs, gestures, legends and customs. There was no common humanity but a division of peoples into language and ethnic groups. He was a German nationalist who defended the maintenance of German particularity in the face of the universal pronouncements about the "rights of man" coming from revolutionary France. In fact, Herder was a racialist who viewed the races of the world in clearly demarcated ways with their own genetic predispositions, and would have dismissed Taylor's effort to "fuse" all the races and cultures in Canada as a transgression of the way providence had created the varieties of peoples. Similarly, Taylor misuses the intended purpose of what Gadamer meant by the "fusion of horizons." For Gadamer a "horizon" was a standpoint that limited the possibility of having an impartial, objective vision; it was an inescapable situation wherein all humans found themselves, situated within a horizon. While Gadamer says that such horizons are not fixed or closed to other perspectives, for otherwise there would have been no changes in the outlooks of the peoples of the world, he does say that all humans inevitably inhabit a horizon which conditions their interpretations, which are necessarily prejudicial, but not in the sense that they result in blanket distortions of our understanding of other outlooks, but in the sense that human beings are creatures who can only interpret the world within the horizons they inhabit, they can't be "neutral" observes outside a context which exists nowhere. Gadamer is known for developing the art or technique of interpretation, hermeneutics, which teaches one how to "interpret," "explicate," or "translate" texts from a horizon different from one's own. It teaches one to be aware of one's limitedness, how we are always surrounded by a historical context and a tradition. By teaching that we can never overcome our finitude, we learn about how we are situated in a giving horizon, and, in so learning, we learn about how others are situated in different horizons and, in this way, we may learn how to become more open to other experiences, since we become aware that we are all operating within horizons, affected by our own traditions, and that the perspectives of others are as legitimate to them as our perspective is to us. Taylor takes Gadamer's "fusion of horizons" as a justification for the promotion of mass immigration and multiculturalism in Canada. But Gadamer never said anything about radically transforming the perspective of European nationals by fusing their cultures with the cultures of the world through mass immigration. In fact, his philosophy welcomes the variety of perspectives in the world and does not seek to create a culture that pretends to be universal in its ability to fuse every other horizon within its own horizon. Gadamer was a strong traditionalist and conservative thinker who insisted on the unavoidable reality of human "prejudices," not as a negative attribute, but as the very condition of human understanding, since one's horizon is what allows one to have "fore-sight". But what Taylor is saying is that European Canadians should overcome altogether their own attachments to a cultural horizon by "recognizing" and "respecting" the cultures of others, the collective cultural rights of others, while suppressing their own heritage and affirming only their individual rights. He views the culture created by European Canadians as a blank slate with no identity of its own. A truly hermeneutic thinking would acknowledge the importance of the Anglo or European traditions and prejudices of the very Canadians who founded the nation, and thus show respect and sympathy for Canadians who are extremely apprehensive and worried about how Canada is undergoing a radical alteration through mass immigration. Gadamer was particularly concerned about our ability to "transpose ourselves into the historical horizon from which the traditionary text speaks," otherwise "we will misunderstand the significance of what it has to say to us." He says that it is "constantly necessary to guard against overhastily assimilating the past to our own expectations of meaning." We must "listen to tradition in a way that permits it to make its own meaning heard" (Gadamer, Truth and Method, pp. 300-307). But Taylor, a Canadian, can be said to have read Gadamer's German text, the product of a cultural setting in 1920/30/40s Germany, in a rather overhasty manner by imposing on it meanings and ideas best understood within Canada's mandated multicultural horizon. This porousness means that they are more open to multinational migration; more of their members live the life of diaspora, whose center is elsewhere. In these circumstances, there is something awkward about replying simply, 'This is how we do things here' (p. 63). No, there is nothing awkward about replying this way; it is how every non-European replies in his homeland. Taylor is wilfully misleading Canadians into thinking that mass immigration is happening everywhere when in truth globalization in most of the world is not associated with immigration. Immobility is typical for the vast majority of the world's population: Over 98 percent of the people in less developed countries in 2005 were born in the country where they reside. Immigrants have accounted for a mere 1.4-1.6% of Asia's population over the past twenty years — despite fertility rates well below replacement levels in Japan, Singapore, South Korea, Taiwan, and other Asian countries. How could someone with Taylor intellectual stature misinterpret Gadamer's text in this manner? A short answer is that he wants philosophically sophisticated concepts to justify mass immigration, but since the idea of mass immigration is unprecedented in history, and is therefore devoid of any intellectual justifications in the past, he has no option but to interpret past thinkers as if they were calling for immigrant diversity. The liberal communitarianism Taylor advocates, which is part of a wider movement critical of the excessive individualism of classical liberalism, sounds very appealing in its endearing concerns with the erosion of communal life in an "increasingly fragmented society," but ultimately it is a phony form of communitarianism without a rich intellectual tradition behind it. All forms of communitarian thinking have been conservative in nature rather theoretical postulations by academics seeking to create new communities. Communitarian feelings have come from actually existing communities populated by inhabitants with a deep sense of belonging and kinship attachment. But for decades cultural Marxists have been breaking down traditional relations, patriarchal families and kinship ties, designating them as racist and oppressive without a clear grasp of the unique ways in which European peoples had long been, up until the 60s, balancing individual rights and traditions in relatively peaceful ways with immigration restriction policies committed to protecting their ethno communal feelings. Taylor's career has been driven by his rejection of this uniquely European sense of community, in the name of a new communitarianism lacking any historical basis and philosophical tradition, but aimed at creating a totally new form of collective identity consistent with the promotion of diversity. While Taylor has become rich working against Eurocanadian communitarianism, we can safely show that we are the true communitarians by working from within his critique of mainstream liberalism, reminding Eurocanadians that it is natural and intrinsic for them to affirm themselves collectively as the people who created Canada. We need to hold Taylor, and his many uncritical followers, morally accountable as to why they think that European individuals should be disallowed from having a sense of ethnic identity in the same breath as non-Europeans and immigrants are said to have this collective right.